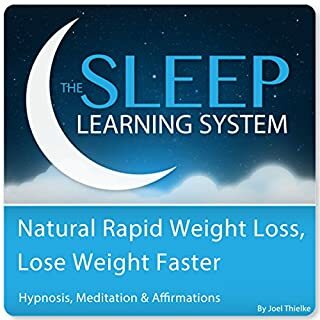 Naturally lose weight fast and make the results last through meditation and powerful affirmations. 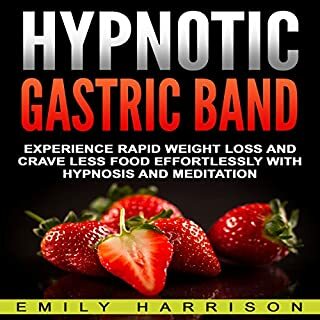 In this audiobook, George Nathan Jr. guides you through a state of hypnosis, so you can train your brain to create a virtual gastric band. Together with the power of attraction, this aims to empower you to control your eating habits and form a positive relationship with your body. This technique shrinks your stomach’s capacity to store food, so you feel fuller, faster. Essentially, this gastric band curbs your appetite resulting in less cravings and effortless portion control. All women are beautiful, no matter her color, shape, or size. You are beautiful. You have every reason to be confident in your own skin. And your beauty will shine brighter if you believe in yourself. You are wonderful and you deserve the best things, including an ideal body weight. The law of attraction states that the universe can give you that which you attract or focus on. If you focus on positive things then you will attract them towards you, and this includes rapid weight loss. This hypnosis program will help you dump any negative belief you may have about yourself. Reducing stress while loosing weight.. 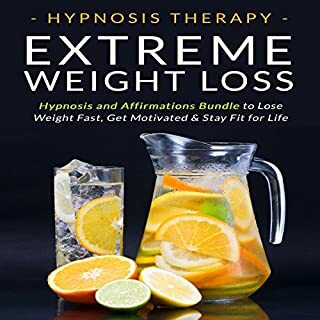 This hypnosis is designed specifically for those who want to rapidly lose weight in a healthy way while increasing your motivation for achieving your ideal body. It is about 16 minutes long and is a part of the Beach Hypnosis and Meditation Series. Your ideal weight is attainable with the right mindset. Creating positive change is as simple as rewiring your subconscious and conscious mind to make better choices. You have the power to change your body - and your life - today. 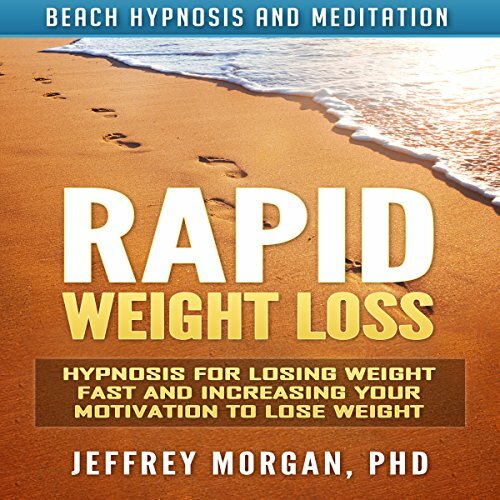 It is recommended that you listen to this hypnosis for at least three weeks, as that is how long it takes to change a habit. This is like a jump starter for weight loss. 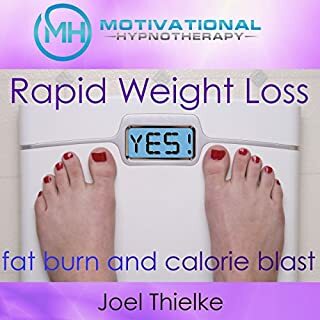 Love the motivation it brings and I feel it can last as long as you listen whenever you feel you are losing the will to continue on a healthier path. It's worth it to at least try in my opinion. Health is everything. This has been useful for me so far, as I've been shifting my thoughts towards eating healthier food and exercising more, and just making better decisions for myself. I really like how this is structured for long term use with different music settings. I listen to it and don't get bored from the same background over and over. It's a nice way to continuously use this hypnosis. This is a well written piece that seems to automatically speak to the subconscious mind. I found it to be an easy way to trick the brain into wanting exercise and healthier foods. That alone has helped me lose weight faster. Very clever production! It's a good way to stay on target with weight loss goals and make sure your mentality matches your goals. Sticking to my diet has become easier with this audio by my side. 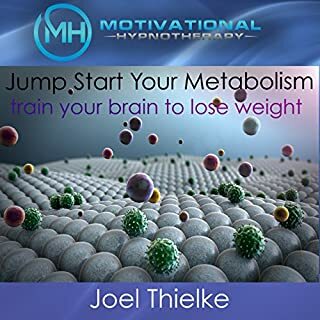 It's a soothing way to fall into a natural suggestive state that helps you ingest messages that help you in the long run for staying on track with your diet and essentially losing weight. It is an interesting method, looks like it needs to be used more than once. Takes a while for the messages to become more concrete in the mind but they do start to manifest more clearly, like your own thinking pattern. I like the beach sounds in this audio, which is what drew me in. Then, the hypnosis is effective for me as I've found myself craving healthier foods and cutting sugar. I like this audio for its motivational effect on me. 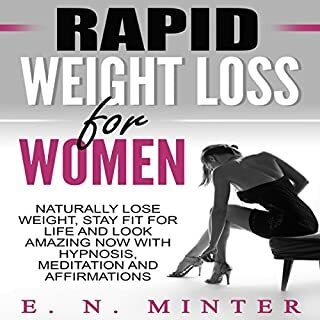 It helps me focus my thinking on the right aspects of weight loss and body image in general.